The girl group NATURE did surprise event! NATURE appeared with a placard sending a message on their way to work for Music Bank, a KBS2 music program that was held at the public hall of KBS in Yeouido, Seoul on Monday morning. 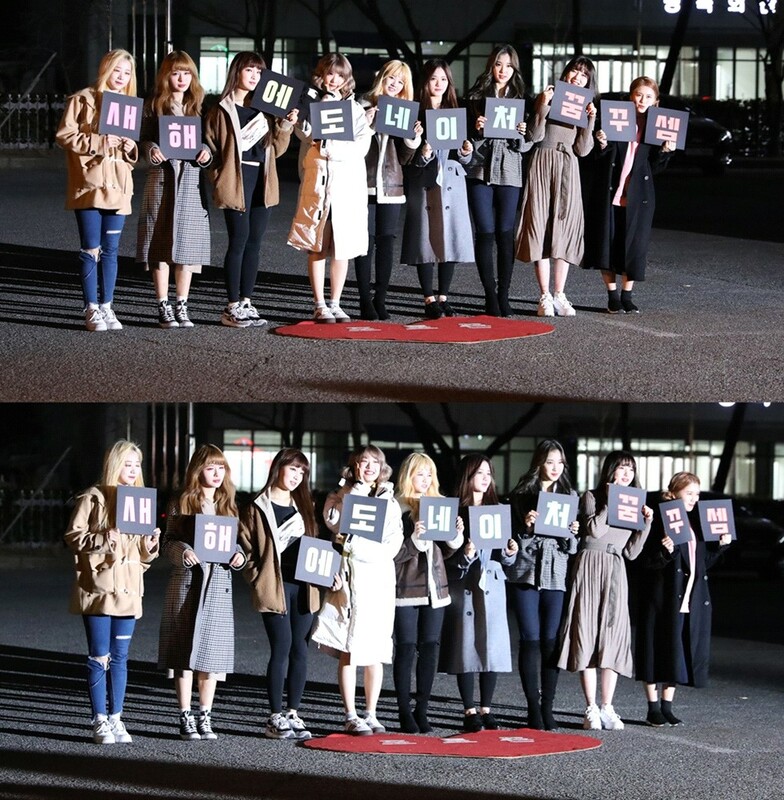 The members at photo zone carried placards in their hands and completed a cute message called "NATURE Dreaming in the New Year." Then they greeted their fans and reporters with courage and expressed their strong and lush charm. NATURE has established their self as the "Great Leader on the Way to Work" by holding new concepts and various events on their way to work at Music Bank, succeeded in meeting the expectations of their fans. Especially, the blinking visuals of NATURE members who brighten up the scene even in the dark early morning due to the lack of dawn and the splashing energy of vitamin C are giving fresh vitality to many people.